The second photo trip to Costa Rica in April 2018 mainly was focused on the Pacific side of the country while our first visit in 2017 had been concentrated on the central and Caribean parts. The selection of photographs may give another impression of the amazing biodiversity of Costa Rica. For more informations please click on the pulldown menu on top of the gallery. A selection of photographs of my recent trip to northern Canada was added. 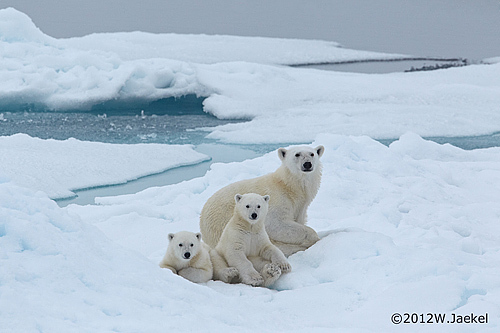 The photosafari mainly was focussed on polar bear moms with new born cubs emerging from their dens before spring. Some informations were added, too, describing the difficult conditions to get there and the temperatures in the tundra well below -40°C . 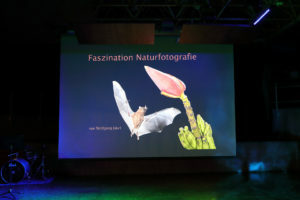 On January 26th an effortful Multimedia show under the title “Fascination of Nature Photography” was displayed in Heidenheim (Germany). The presentation was laid out as a charity event for the benefit of the Rohingya refugees in Bangladesh and took place in the auditorium of the local High School which has a partnership with the St Theresa High school in Bhalukapara. 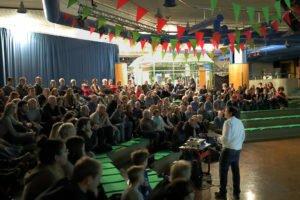 Around 150 excited visitors from all over the region watched the selection of Wolfgang’s photographs and videos on Costa Rica, the Pantanal in Brazil, the orcas and humpback whales of the Peninsula Valdes and Northern Norway combined with photos and timelapse sequences of the Northern Light and background music. The AV presentation was programmed with Wings Platinum 6 Pro and was very successful regarding the charity appeal, too. A gallery of images showing Japan’s Winter Wildlife and a collection of photographs that may give an impression of Costa Rica’s amazing fauna and flora were added. Some Informations on the trips and locations are included, too. 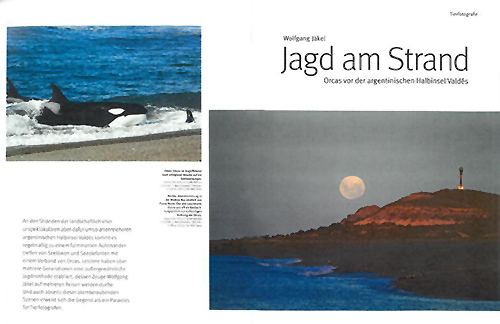 The well respected German photo magazin “Naturfoto” (issue 4/ 2017) published my photo documentation on the Orcas and the spectacular beach hunting strategy they practice at the peninsula Valdes, Argentina. You can download the article here (German language and moderate quality of the scan, though). For more photos and informations please visit the gallery. Two of my images have been shortlisted in the final round of the International SIPAcontest 2017 in Siena, Italy. The 2017 edition has received nearly 50000 images from photographers from 130 countries worldwide. The Siena International Photo Award is one of the photo contests with the highest international participation ever. A gallery and some informations were added. The photographs were taken on an extension trip further to the south in connection to my first visit of the Peninsula Valdes in 2012. 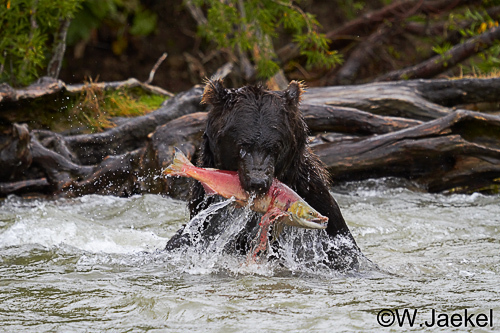 A selection of images of the orcas and other wildlife was added. The photos were captured on 4 trips to Valdes in the period from 2012 to 2016. 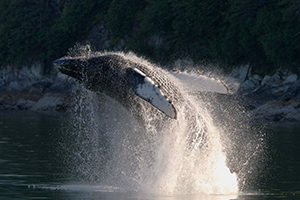 For more informations about the world-famous hunting behavior of the killer-whales and the area please see the description on the gallery page. Northern Lights and sceneries in Tromsoe – a gallery was added, displaying a selection of photographs that I had taken on my trips in February 2013 and March 2014. To the active volcanos and bears of Kamchatka again – a gallery of photographs was added. You can get detailed information of the locations, for the most part including GPS – datas from the images in the gallery. 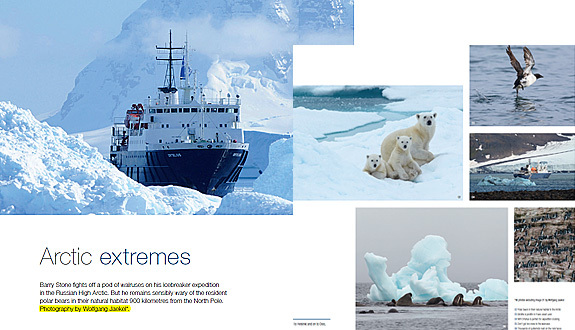 A selection of my photographs that I had taken in August 2012 on a trip to the Russian Arctic (Franz Josef-Land) was published in the December issue of the known “Signaturemagazine” in Australia. The arcticle was written by Barry Stone and can be viewed as pdf-file here. Some more images are displayed as a slideshow in the Online-issue of Signaturemagazine. To the mountain icons and glaciers of Patagonia – a gallery was added. For information about the the trip, please see the introduction. Details of the locations as well as supplementary comments on the particular photographs are provided in the gallery. The photo was taken at the Kuril Lake in Kamchatka (Russia), using the Canon EOS 7D and f4.5-5.6/100-400mm lens (handheld at 330mm), f5.6, 1/1000 sec, ISO 800. More images are provided in the gallery. Journey to the Galapagos Islands & Ecuador – 2 galleries were added. For more information about the trip see the introduction. The “News” section was added to the menu bar. Solar eclipse voyage to Franz Josef Land aboard MS POLARIS – see the information and the gallery! You can download the official expedition report here. 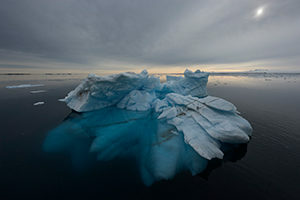 Photographers’ expedition into the packice aboard MS ORIGO – More Information and the final edition of the gallery will be added as soon as possible.